Today it was reported that the EVP, People & Places of Intuit (INTU), Laura Fennell, exercised options to sell 67,488 INTU shares at $82.59 a share, for a total transaction value of $16.97M. Following Laura Fennell’s last INTU Sell transaction on May 31, 2017, the stock climbed by 111.9%. In addition to Laura Fennell, 3 other INTU executives reported Sell trades in the last month. Based on Intuit’s latest earnings report for the quarter ending January 31, the company posted quarterly revenue of $1.5 billion and quarterly net profit of $189 million. In comparison, last year the company earned revenue of $1.17 billion and had a GAAP net loss of $21 million. INTU’s market cap is $64.85B and the company has a P/E ratio of 45.16. The Company has a Price to Book ratio of 23.5028. One of the top 25 analysts, according to TipRanks.com, recently recommended Buy INTU with a $247 price target. Based on 11 analyst ratings, the analyst consensus is Moderate Buy with an average price target of $241.70, reflecting a -4.7% downside. The insider sentiment on Intuit has been neutral according to 55 insider trades in the past three months. This sentiment is slightly higher than the average sentiment of company insiders in this sector. 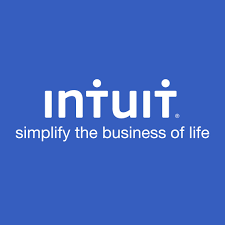 Intuit, Inc. is a financial management and compliance platform company, which engages in the provision of business and financial management solutions. It operates through the following segments: Small Business and Self-Employed; Consumer; and Strategic Partner.